How far will people go for a t-shirt? They said misery loves company. They didn’t say just how many in the company or how much misery, though. My RA said, “It won’t kill you—actually the opposite—you’ll have so much fun.” I felt exactly the opposite of R. Kelly: my mind was saying yes, but my body was telling me NO. So there I was, at 5:45 a.m., putting on pants before I knew what was going on. ’Tis the season for Kuvia, and all of its misery, company, and frigid attraction. 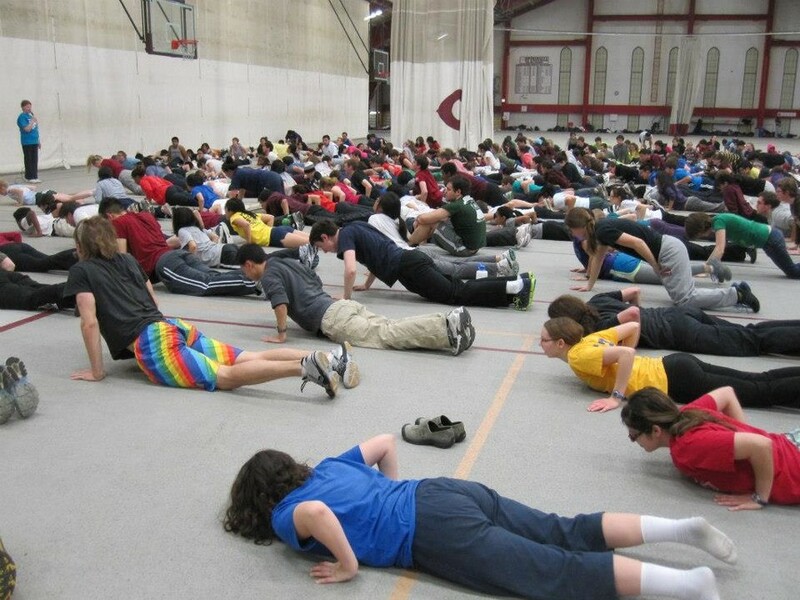 The winter festival attracts more than 400 students to Henry Crown, where warm-up sun salutations start off the celebration. This number slowly dwindles by 100 or so by the end of the week. They say if you make until Wednesday, you can’t stop because it’ll be a waste. What’s at the Friday finish line is house competition money, school pride, and a free t-shirt. So, after my first day of refreshing sun salutations led by certain faculty members, and an amusing and uncoordinated dance workshop led by Indian folk dance RSO Raas, I felt good, just not good enough to play Groundhog’s Day on Tuesday. While our RAs gathered the Alper troops to head to Crown, I slept soundly. I heard rumors that some RAs woke up their houses by banging on pots and pans in the morning…I was grateful mine were more forgiving.